1. Kaiser Wilhelm, Germany, 1918. Kaiser Bill was the last Emperor of Germany and the last King of Prussia. The oldest grandson of British Queen Victoria, he was related to many of the crowned heads of Europe. A brash and tactless leader, he often ran his mouth without thinking ahead, diminishing his power by undermining his own credibility. During World War I what influence he did have on his country’s war effort was ineffective, with most of the war effort directed by his generals. The first cousin of King George V of England, Wilhelm was responsible for the common epithet of calling Germans “Huns” when he compared Germans to Huns in a 1900 speech, known as “The Hun Speech.” In that diatribe, Wilhelm exhorted his soldiers to show no mercy to Chinese opponents during the Boxer Rebellion, ordering them not to take prisoners and execute any enemies found. A lifelong anti-Semite, Wilhelm often denigrated Jews as being contrary to the good of Germany. He died in exile in the Netherlands in 1941 while the country was occupied by German troops at the age of 82 of pulmonary embolus. He was buried in the Netherlands, as his wish to never return to Germany unless the monarchy had been reinstated was respected. 2. Richard Nixon, United States, 1974. With 2 ½ years left on his second term as President, Nixon became the only President of the United States to resign his office when the results of investigations into the Watergate Scandal made his impeachment a certainty. Nixon resigned to avoid being impeached, and it is well he did for conviction would have been virtually automatic as the evidence was overwhelming that he had conspired to cover up details of the Watergate Scandal, a burglary of Democratic offices by minions of his campaign committee during the 1972 Presidential Election campaign. The Nixon resignation allowed Gerald Ford to become President, although he had never been elected to the office of Vice President. Ford pardoned Nixon with a blanket pardon to prevent any further prosecution of the disgraced ex-president. Nixon had previously served in the US Navy during World War II, then as a US Representative from California, as a Senator from California, and for 8 years as the Vice President of the United States under President Eisenhower. Initially a pariah after resigning the presidency, Nixon became slowly more accepted as an elder statesman over the years, being given credit for his accomplishments with a decreased emphasis on the actions that led to his resignation. He died in 1994 at the age of 81. 3. Sarah Palin, Alaska, 2009. 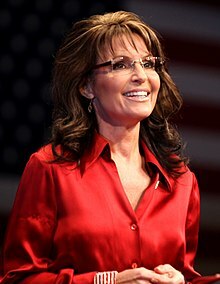 Palin had reached the governorship of Alaska at the age of 42 after serving as mayor of Wasilla, Alaska from 1996 to 2002 and as the Chairman of the Alaska Oil and Gas Conservation Commission for a year (2003-2004) in spite of having no education or background in a science or business related to fossil fuels! Her college experience had been chaotic, with transfers among 3 different colleges until graduating with a BA in Communications. Despite her tenure as the mayor of Wasilla leading to the only deficits in the city’s history (growing from $1 million in debt to $25 million! ), and Wasilla becoming the “Meth capital of Alaska,” Palin was elected Governor of Alaska and served from December of 2006 until July of 2009, not even finishing her first term! Her rambling, incoherent speech announcing her resignation did not come close to explaining her reasons for leaving office, although her highly profitable television and speaking career in which she quickly made millions of dollars seemed the blatantly obvious reason for quitting. Palin had become the shocking surprise of the 2008 Presidential election when Republican John McCain chose her as his running mate for Vice President. Palin’s incredible lack of knowledge of politics and history led to one embarrassing debacle after another during the campaign, leading to the election of Barack Obama as President. Palin has not sought further elected political office since, instead making money as a political speaker and news commentator. 4. 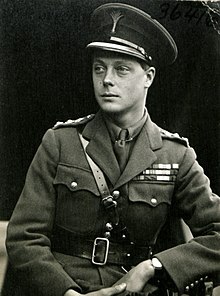 King Edward VIII, United Kingdom, 1936. King Edward VIII abdicated in one of the most public and romantic fashions in history, only 11 months after becoming King, to marry “the woman I love.” Edward was in love with American divorcee Wallis Warfield Simpson (born Bessie Wallis Warfield in Pennsylvania, 1896), an American, a commoner, and worst of all a TWICE divorced woman with 2 living ex-husbands. The sensitivities concerning the Crown of Britain would not allow such a woman to be the mother of the heir to the throne, let alone the Queen, and thus Edward was compelled to either live without his love or abdicate the throne. He chose love over his crown, and the pair lived together until his death in 1972 at the age of 77. (She died in 1986.) The couple became the Duke and Duchess of Windsor after the abdication, living in France after the War and not allowed to partake in any political processes. Edward was sometimes accused of being a German sympathizer prior to and during World War II, an accusation he vehemently denied. 5. Pope Benedict XVI, Catholic Church, 2013. Benedict had ascended to the top of the Catholic Church in 2005 upon the death of Pope John-Paul II, and resigned his office in 2013 at the age of 86, claiming lack of physical ability to stand up to the rigors of his duties, although he seemed to be in good health. Benedict became the first pope to resign since Pope Gregory XII in 1415 (due to resolving the “schism” that had divided the Church), and the first pope to resign without any known outside pressure since Pope Celestine V in 1294. Thus, the rarity of a pope resigning his office created an international furor, not just within the Catholic Church. Benedict, especially in light of his advanced age, is known to have several health concerns, with a history of minor strokes, high blood pressure, and a pacemaker implanted to control his heart rate. In the 5 years since his abrupt resignation, Benedict has lived in relative seclusion in the Vatican, emerging every few months to attend important church related functions or meetings with the press, former students and the like. 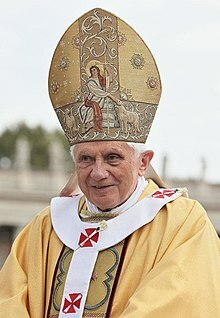 Now referred to as “Pope Emeritus,” Benedict has retained his name chosen as pope instead of reverting to his birth name (Joseph Ratzinger) and is not considered a Cardinal or a Bishop. He prefers to be called “Father Benedict” as a common priest. Benedict has denied speculation that he resigned due to outside influence related to some scandal or another, as has been postulated by people ever since the resignation announcement. 6. 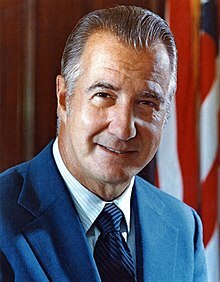 Spiro Agnew, United States, 1973. Serving as the Vice President for Richard Nixon since January of 1969, Agnew was a caustic and sarcastic man that belittled the press and political opponents. As the Watergate Scandal enfolded the Nixon administration in 1972 and 1973, Nixon and his aides were thankful that at least Agnew was spared involvement with the investigation. Unfortunately for Agnew and the Nixon administration, Agnew was revealed to have been involved in bribery, extortion, tax evasion, and general corruption while previously serving as Governor of Maryland. Agnew resigned as Vice President (allowing Gerald Ford to be appointed to that post that led to Ford succeeding Nixon as President) and pled guilty to a single count of tax evasion, avoiding jail time, giving a famous plea of “No lo contendere.” (No contest.) Agnew lived until 1996 keeping out of the public eye, although he wrote a novel and a memoir in which he defended his legacy. Spiro Agnew was often accused of either racism toward African Americans and Jews or at least insensitivity to those groups. Agnew had served in the US Army during World War II, earning a Bronze Star Medal. 7. Anthony Eden, United Kingdom, 1957. Eden had been serving as the Prime Minister of the UK since 1955, taking the reins of office after Winston Churchill retired. The undoing of Eden came with the Suez Crisis of 1956, in which Britain and France teamed up with Israel against Egypt when Egyptian leader Gamal Nasser seized the Suez Canal from British control. Eden reportedly wanted Nasser assassinated and along with France colluded with Israel to have Israel take over the Sinai Peninsula and the Suez Canal in conjunction with British and French forces. Eden was opposed in his plan by the United States, a striking break with the long standing alliance between the US, the UK, and France. Under intense pressure from his own administration and Parliament, as well as the United States and the United Nations, Eden was force to call off the military action and cede control of the Suez Canal to Egypt. The diplomatic and military failure combined with allegedly misleading statements to Parliament led to the resignation of Eden, his status as a diplomat greatly diminished and his health in jeopardy. He died in 1977 at the age of 79 after serving in the House of Lords from 1961 to 1977 as the Earl of Avon. 8. Mikhail Gorbachev, USSR, 1991. 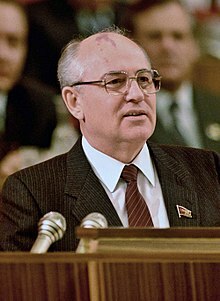 As the last leader of the Soviet Union, Gorbachev had disbanded the Communist Party of the Soviet Union in August of 1991, resigning as party Chairman, and then he resigned as President of the Soviet Union, effectively ending the country as a Union of Soviet Socialist Republics. The developments leading directly to the resignation of Gorbachev and the dissolution of the USSR were the coup related attempts by hard liners to seize control of the government and the military in a last ditch bid to save the USSR. Gorbachev managed to put down the conspirators, and went on to dissolve the country, creating a new arrangement by which the former republics were part of a Commonwealth of Independent States. Gorbachev remained active in Russian politics after his presidency was over, publicly commenting on political affairs and even making a failed run for the presidency of Russia in 1996. He has been a frequent critic of current Russian president and virtual dictator, Vladimir Putin, although he did support the annexation of the Crimea from the Ukraine. Gorbachev also maintains relations with other former world leaders through the Club of Madrid organization, and has criticized the United States for demonizing Russia. He is now 86 years old. 9. Tony Blair, United Kingdom, 2007. As Prime Minister of the UK and the head of the Labour Party, Blair was a supporter of US President George W. Bush in the War on Terror, especially after the terrorist attacks of September 11, 2001. When Blair supported the US led invasions of Afghanistan in 2001 and of Iraq in 2003, the British people felt that Blair had conceded British independence to the US, and further that Blair had engaged in lying to the British people by supporting the US claim that Iraq had weapons of mass destruction (they did not) and that Iraq supported Al Qaeda (they did not). Blair resigned during his 3rd term as PM due to intense public distrust based on the allegedly false premises for launching the invasion of Iraq, and was succeeded by Gordon Brown. Blair had served as Prime Minister of the UK for 10 years (1997-2007). Blair accepted a role as an envoy to the Middle East representing the UN, the USA, the European Union, and Russia in 2007, a post he held until 2015. He also worked for major international banks and formed charities. Tony Blair is currently 64 years old and has a net worth approaching $150-200 million. 10. Shah Mohammad Reza Pahlavi, Iran, 1979. 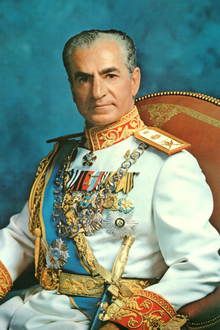 The last Shah of Iran, Pahlavi had sat on the Peacock Throne since 1967. During his reign he instituted policies of secularization and modernization, built the military of Iran with US weapons and training, and incurred the wrath of fundamentalist Muslims and his political enemies, using extreme secret police tactics to imprison, torture and kill those opponents. The Iranian people also resented the interference of the United States, which had inserted the Shah into power in the first place. While Iran suffered upheaval due to radical religious fervor, by 1979 it was clear the Shah could not continue to rule without fighting a massive revolutionary uprising among his people. The Shah left Iran to be taken over by Islamist clerics and become an Islamic State. He went into exile and traveled from country to country that did not want him in their nation, fearing recriminations from Iran and possible terrorist threats. Even the United States turned him away until October of 1979 when he was allowed to come to the US for medical treatment, the reason the US Embassy in Iran was overrun and the inhabitants taken hostage in November of 1979, triggering the Iran Hostage Crisis. The Shah left the US in December of 1979 and went to Panama where he was treated terribly by the Panamanians, finally ending up back in Egypt where he died in July of 1980 from a long battle with cancer. He was only 60 years old when he died and is buried in Egypt. Next Article November 10, 1865: Were Any Americans Executed for War Crimes in the US Civil War?